This couple wanted to create a nice area to sit and relax in whilst at home. 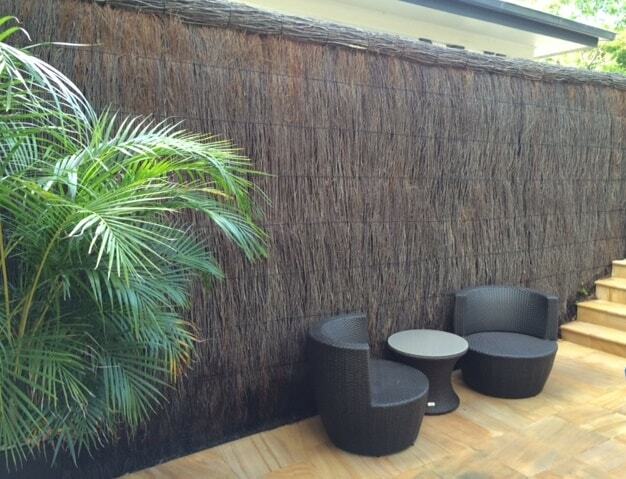 We created this little oasis in their courtyard by cladding the original stick wall with an 2400mm high brush fence. The Brush fence offers a much more pleasing look and allows the couple to feel as through they are in their own Hideaway. Throw in a couple of palms, a table and chair set and their courtyard looks fantastic and offers a relaxing place for them to unwind and enjoy for years to come.